 The Geneva Academy alumni community is made up of over 700 members who work worldwide in the humanitarian and human rights fields, in international organizations, international courts and tribunals, NGOs, governments and academic institutions. Through formal events and informal contact, our alumni form a dynamic network of professionals, one of the lasting benefits of an education at the Geneva Academy. 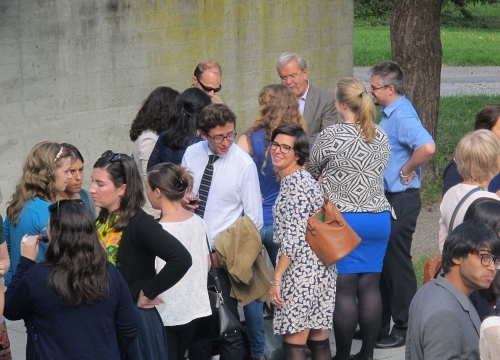 This group serves as a community space for those who have graduated from the Geneva Academy or from its predecessor, the University Centre for International Humanitarian Law (CUDIH), to engage in meaningful and intentional networking. As members of this group, our alumni can connect with each other, share information regarding job opportunities and internships, plan informal meetings and networking events in their area, discuss topical issues, share articles and experiences, and more! Our alumni are invited for the 2019 Alumni Gathering that will take place on Saturday 25 May 2019 in Geneva!